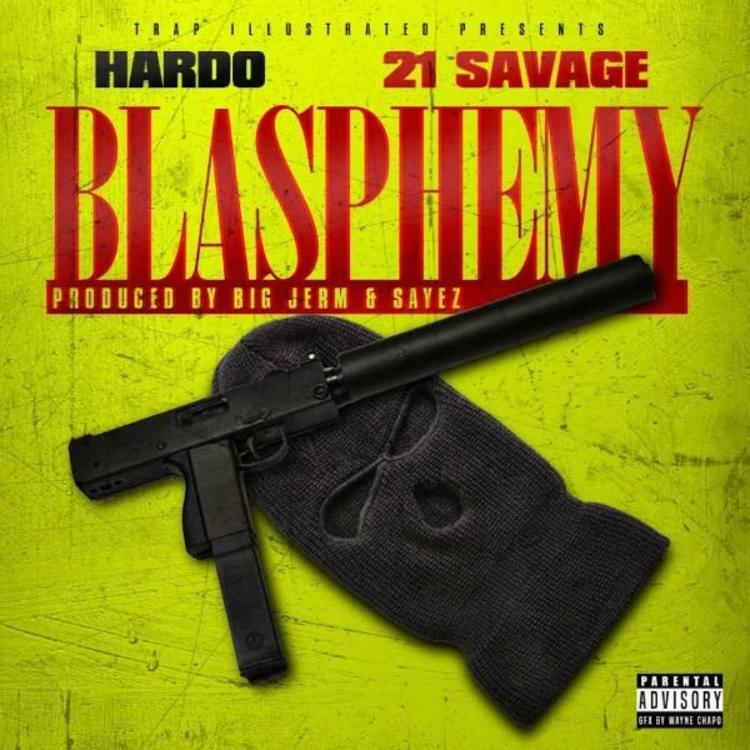 Hard links up with 21 Savage for the gritty trap track “Blasphemy.” Hardo has his next mixtape TrapNFever ready to drop on April 15, and this is the lead single from that record. It’s Hardo’s first since he extricated himself from his ongoing legal battle. Hardo and 21 Savage have very complimentary styles, particularly on this track. Apparently Hardo had the same thought after he laid down his verses in Atlanta. He “called 21 up because I felt like he was a perfect fit on the record. He came through and he fucked with it and jumped on it and another record,” Hardo told Complex. We aren’t sure if that other record will appear on his upcoming mixtape, but Wiz Khalifa and Sosamann (who released a song together recently) will be making some feature appearances. "Blasphemy" features production from Big Jerm, Sayez and Shod Beats.